Glow sticks are also known as light sticks or chemlights. I’m not gonna get into the details of how they work. All you need to know is that if you bend them, the glass inside breaks and they start glowing in the dark. If you want more details, check out this Wikipedia article. Once you light them up, they last anywhere from 1 to 12 hours depending on the size and quality of the stick. In temperatures over 80°F, they’ll be brighter but won’t last as long. And in temperatures under 40°F they’ll be dimmer but will last longer. Keep in mind that once you light them, they can’t be turned off. So if you’re in a situation where you need to hide, make sure they’re completely covered up. Glow sticks come in a variety of colors, sizes, and shapes. You can use any color you prefer, but I would avoid red and orange since they don’t give off as much light. They’re usually 6 to 10 inches long, although some are as short as 1 inch. Some of them have a connector on the end so you can turn them into bracelets or necklaces. These are great for kids. The shelf life of glow sticks is about 1 to 4 years. If the stick is in foil packaging, it should last at least 4 years. But if not, then it will only last about 1 year. Keep this in mind if you buy a bunch of glow sticks all at once. You might need to throw them out next year and buy new ones. But before you do, test one of them first and see how long it glows (if at all). Glow sticks have many advantages. They’re cheap, lightweight, windproof, waterproof, and safe to use around flammables so you can use them anywhere or in any circumstance. They have a long shelf life, they don’t take batteries, they don’t break if you drop them, and you can see them up to a mile away. 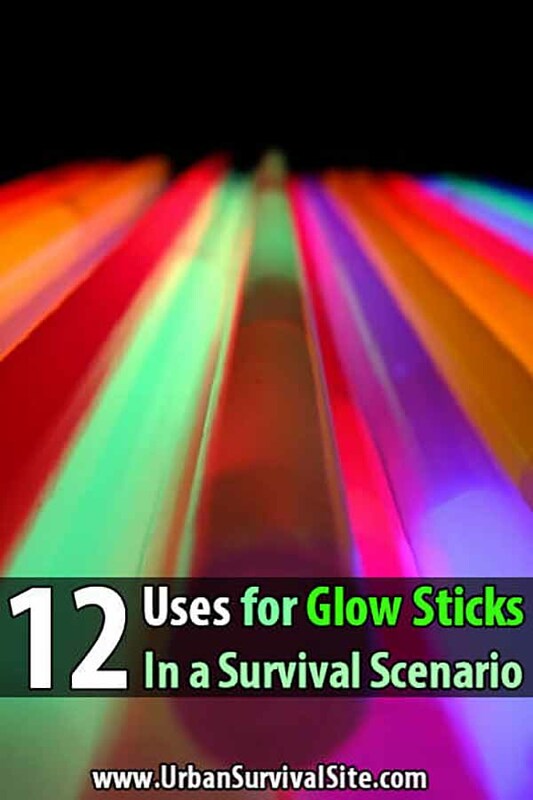 But the best thing about glow sticks is the many ways you can use them in a survival scenario. When the power goes out, most people carry around a candle or flashlight. But there’s a better solution. Hang a glow stick on every doorknob and over every entranceway in your home. This way you’ll easily find your way around the house without having to carry a light everywhere. To do this, first you need to light the glow stick, then cut off one end of the stick, pour the contents into a mason jar, screw on the lid, and shake it up (be careful not to get the liquid on your skin). Remove the lid, add some water, and screw the lid back on. The light from the chemicals will be dispersed better this way, making a dim lamp. Place these around the house on tables and counters during a power outage. If you prefer to use a flashlight but don’t have one, you can make a mini-flashlight using a glow stick. Just cut open one end of the package, take out the glow stick and light it, then put it back into the package. The light from the stick will come out the end of the package and form a dim beam. Of course, this won’t be nearly as bright as a real flashlight, but it could be useful if you’re trying to see something up close like a book. If you need more light than the makeshift flashlight can provide, you can just take the glow stick out of the package. But the problem with this is that the light shines in every direction, including at your eyes. This can make it difficult to see what’s on the other side of it. The solution is to put a strip of duct tape on one side of the glow stick, that way you can aim the light downward and not have it shining up into your eyes. If you’re out camping on a dark night, you can use glow sticks as night lights. For example, if you hang one inside your tent it won’t be so bright that you can’t sleep, but it will be bright enough for you to see in case you wake up in the middle of the night. 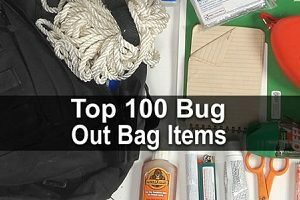 You could also hang one over your tent flap so you can easily find your way to and from your tent. Finally, if for some reason you don’t have a fire, you could string together a bunch of glow sticks (I’m talking dozens and dozens) and hang them around your campsite. This will create ambient lighting. You can also hang glow sticks on any lines or wires around your campsite so nobody walks into them. 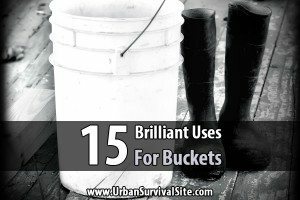 Place them over other hazards, too, such as stakes in the ground, buckets, or your latrine (you don’t want to step in that!). Here’s another thought: If you don’t have a tent, place glow sticks around your sleeping bag so no one accidentally steps on you. And if you don’t have a light but you’re walking through a dangerous area with many tripping hazards, attach glow sticks to both sides of your shoes. This will help you to at least glimpse the ground before you step somewhere you don’t want to step. Here’s how this works: Attach a glow stick to a mouse trap and screw the mouse trap to a tree. Now set the trap and attach a trip wire to it. When the trip wire is pulled, the mouse trap will snap against the glow stick and activate it. Then you’ll be able to see exactly where your perimeter was breached. Watch this video to see how it’s done. In other posts, I’ve talked about using things like trash bags or zip ties as trail markers, but these won’t do you much good at night. If you need to mark a trail so others can follow you (or mark a false trail to throw off dangerous followers), you can hang up glow sticks. Just make sure each one is in sight of the next one, and keep in mind that this will only work for one night. By the next night, the chemiluminescent reaction will be over. You can also use them for shorter paths, like the path to and from the latrine. If your group is traveling at night, you want to make sure you don’t accidentally get separated. To avoid this, the first thing you need to do is designate a “point person.” This person needs to know exactly where to go and how to get there. You can’t have everyone looking at maps and debating the best way to reach a destination. One person needs to be in charge so everyone can line up behind him or her. Once everyone is lined up, they should attach glow sticks to their bags so they can see each other in the dark. If you have children with you, give them glow bracelets or glow necklaces. Also put a glow necklace on your dog if you have one. Fishing at night is difficult because it’s hard to see whether you’re getting a bite, especially if the moon isn’t out. Try hanging a glow stick from the end of your fishing pole, this way you’ll see if a fish is yanking on it. Since they float, you can also use glow sticks as bobbers. The light might even attract some fish. Tie the stick to about 3 feet of cordage, then swing it in a circle as fast as you can. If you’re trying to signal a plane, swing it over your head. If you have enough glow sticks, you could also try spelling out “SOS” on the ground, but that probably won’t be as easy to see as a buzzsaw. 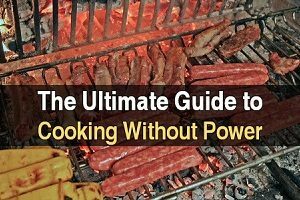 This isn’t really a survival usage, but during a long blackout you might want some fun ways to pass the time. Use a long glow stick and some glow necklaces for a game of ring toss. Another idea is to put glow sticks in water bottles and set them up for a game of bowling. You could also tape a glow necklace to a frisbee, or make squares out of the sticks for a game of hopscotch. There are many possibilities, so use your imagination. Cyalume SnapLight Eco-Friendly Light Sticks – These are just the standard, green, 6-inch glow sticks that most people are familiar with. They last about 12 hours and come individually packaged in a box of 30. Cyalume SnapLight 6″ Industrial Grade Light Sticks – These are basically the same thing only they come in multiple colors (green, white, red, orange, yellow, and blue). They come in packs of 12. CoolGlow Green Mini Glow Sticks – These are a great option if you plan on using lots of glow sticks all over your home or campsite. They’re only 1.5 inches long, but they also last about 12 hours and come in a box of 50. LumiStick Brand Glow Stick Bracelets, Assorted Colors – These are 8-inch bracelets and come in the colors pink, green, blue, yellow, and orange. They last 8 – 12 hours and come in tubes of 100. Premium Glow Stick Necklaces Assorted Colors – These are 22-inch necklaces and come in the colors purple, blue, green, yellow, and orange. They also last about 8 – 12 hours, and they come in tubes of 50. Be warned that the chemicals inside them are unsafe. I know the idea of spreading glow juice all over the place sounds fun, but don’t do it. The juice can irritate your skin, burn your eyes, sting your mouth and throat, and cause respiratory distress. If any of it is ingested, call poison control immediately. Glow sticks aren’t an absolute necessity. 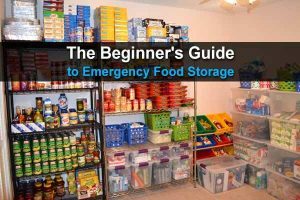 If you have the uses I listed above covered by other survival items, then great. However, they’re so cheap that it really doesn’t hurt to get a few, even if you don’t think you’ll ever need them. If nothing else, they’re a lot of fun to play with at night, especially if you have children. The red ones are important if your in hostile territory as red doesn’t give off near the light as the green and blue. Good for checking out maps and getting your bearings. Most game animals cannot see red so it’s nice to use in getting up a tree stand and isn’t bright like a beam from a flashlight or green/ blue glow stick ambient light, for animals that see things In black and gray. Something i learnt in scouts was to tape an activated glow stick into a mess tin to use as a marker for tent/latrine entrance or if you need a torch to find your way through rough ground simply tape the mess tin to a stick about 2 feet long to use as a handle, the mess tin directs the light in both uses, protecting whatever night vision has developed.